We spotted the same group of common dolphins twice, and in both occasions they were socializing. Adults, juveniles and calves were interacting and vocalising a lot as we could hear from the hydrophone. While we were enjoying the dolphins, Filipe spotted some blows further in distance and there we went, a total of 6 individuals were hanging around, including a mother and calf pair. Also the sperm whales were vocalising, likely keeping in touch one another as they were spread out. 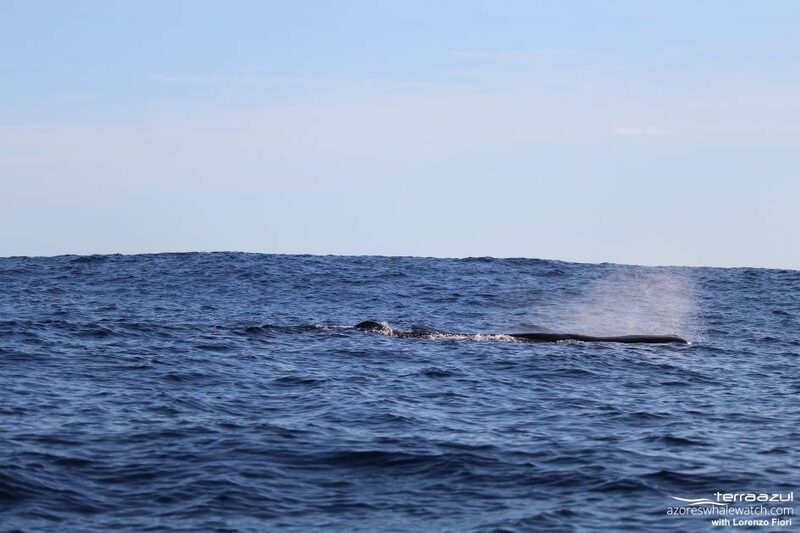 The visibility was really good today, we could even see Santa Maria island at the horizon, so it is not that strange that Filipe spotted these whales at 14 miles from the coast!